Your child can get rounding decimal practice with these lovely Christmas-themed printables from Heather at Only Passionate Curiosity. There are 5 pages of rounding decimal work with a Christmas border! Make math a little more fun this holiday season. 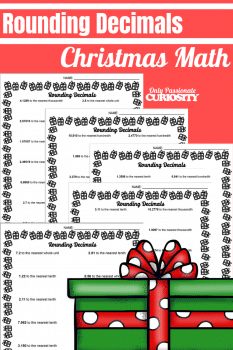 Get your Christmas Math Rounding Decimals Printables today!